Burberry will launch Burberry London for Men this September. The amber woody fragrance was created by perfumer Antoine Maisondieu of Givaudan, and has notes of bergamot, lavender, cinnamon leaves, black pepper, mimosa flower, port wine, leather, guaiac wood, oakmoss, opoponax and tobacco leaf notes. Burberry London for men is an Eau de Toilette, and will be available in 30, 50 and 100 ml and in matching grooming products. Update: see a review of Burberry London for men. Phat Farm Atman is an Eau de Toilette, and will be available in 50 and 100 ml. Nice to see ST Dupont launching a new one for men; I think his “Signature” is one of the more interesting men's frags I've smelled – just love the cedary, foresty, woody dry down. Looking forward to sampling the new one. I just hope they didn't go too mainstream with it. I hope the new Burberry London is more interesting than the women's version. I was vastly disappointed in that one – just another non-descript floral. Agree wholeheartedly on the Buberry. Haven't tried a single Dupont scent, and don't even know where they are carried in the US so will have to investigate. This Dupont one sounds really good and I anticipate it's release in the U.S. Love the bottle, really cool. Hey, do you know what brick n mortar stores carry the line in the US? Had a chance to try the Burberry London for men today and I think it is outstanding! Balsamic, woody, spicy, and only slightly sweet – heaven to me. The wine and cinnamon add an unusual richness. Lasts a solid eight hours staying close to the skin. Twenty-four hours later, I can still smell it faintly – and that's after a shower! Conjures up images of Ivy League colleges, libraries, men's clubs, and Christmas. 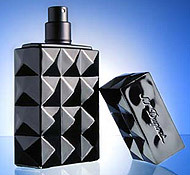 I tend to like fragrances that would be considered masculine, so I think I'll get a bottle and wear it myself! I live near Boston, and this will be a perfect fall/winter scent. I'm a happy girl. Not sure which stores carry the Dupont line (I think I've seen them in Sephora?? ), but it's worth searching out. They are quality fragrances. I haven't seen the Duponts at my local Sephora, in fact, not sure I've ever seen them in person. The Burberry London sounds great — I'll have to give it a try on skin.